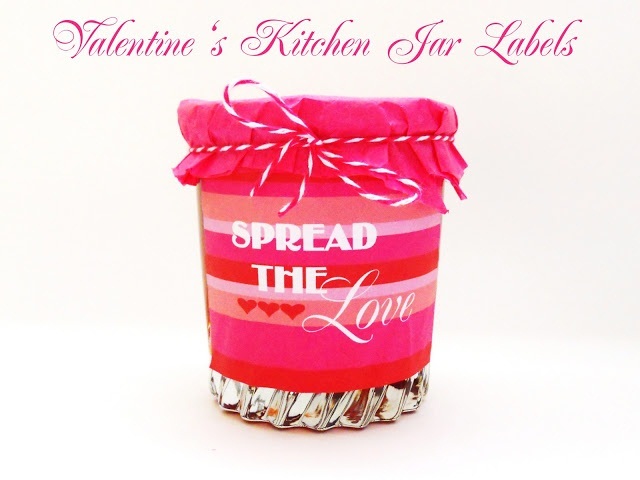 printable Valentine jar labels that I shared last year. I mean they're free people! You should like wallpaper your bedroom wall in them. 2. Exciting happenings this week: We ordered our crib and glider/rocker for the nursery. It's official this baby is coming home with us whether it wants to or not! 3. Scored a lovely piece of art during one of my recent Goodwill runs, also the same trip where my husband conveniently "fell ill" as soon as we walked in. But I didn't have time to snap pics of it this morning before I left for work so you're going to have to wait to see it. I know, I know you're thinking "But Jennifer how will I sleep tonight?" 4. Thanks to a referral by another blog buddy it's official I am completely infatuated with The Style By Emily Henderson blog because let's face it I needed one more thing to be infatuated with. 5. There's a Sweetheart Special going on right now at the Delightfully Noted shop. Run, don't walk, and get yourself 20% off any Valentine card order. you bought a crib?? How exciting!!! I love it! Also, I totally imagined you toiling away in your kitchen making jelly from grapes or whatever jelly is made from to go IN the jar, haha...I'm only allowed to laugh because I'm completely incapable in the kitchen and any jelly I made would likely turn out more like tar. Beautiful crib. I love the look of white furniture in a nursery!